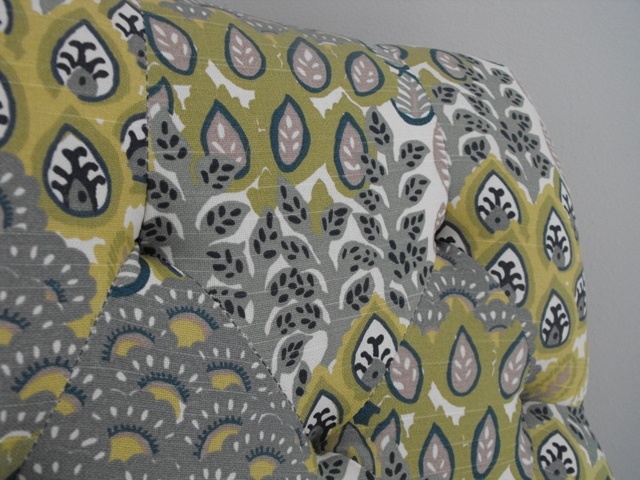 Susie Harris: Decorate in a day! First Madison and I started off with finding our focal point. In her bedroom we knew it would be a reading chair. We are limited on space so it had to be functional and fit. We found her at World Market! 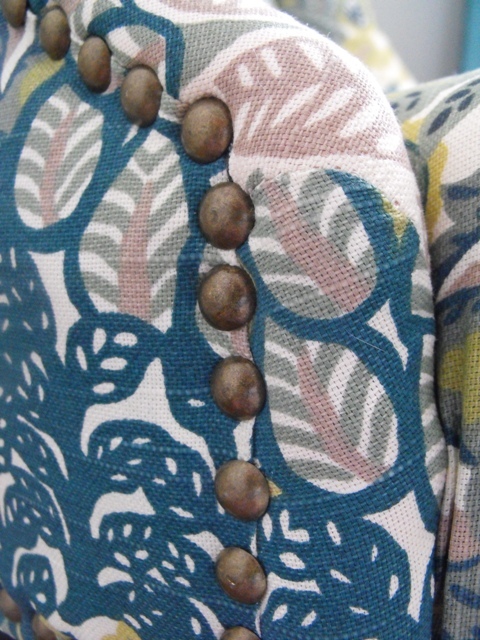 You can find more info on the chair here. 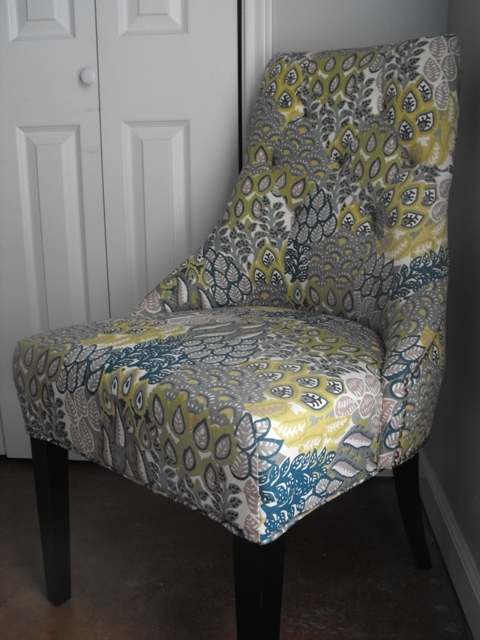 She is the Feather Print Lydia Dining chair and oh so soft. The legs are a deep espresso so that's a perfect match with her book shelf. And who could pass up these nail heads? Here now is our palette full of fun colors. We then shopped the store and found almost everything we needed. We jumped ahead a bit and cheated on Friday. We painted the room before our colors were picked out. I knew I wanted to go with something that flowed with the rest of our house. 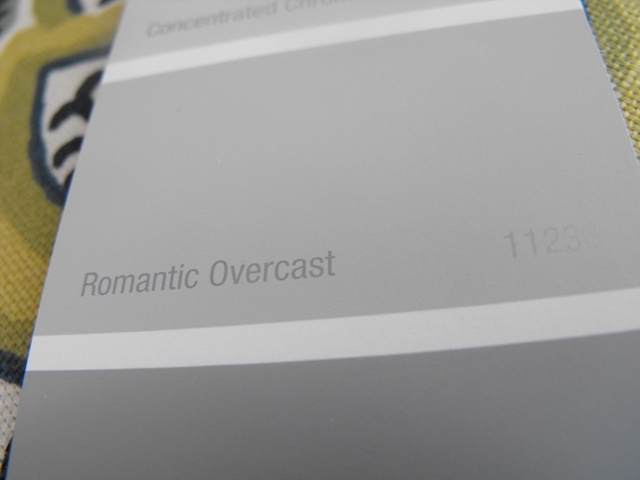 Maddy picked Romantic Overcast from Wal Mart. It worked out just perfect. 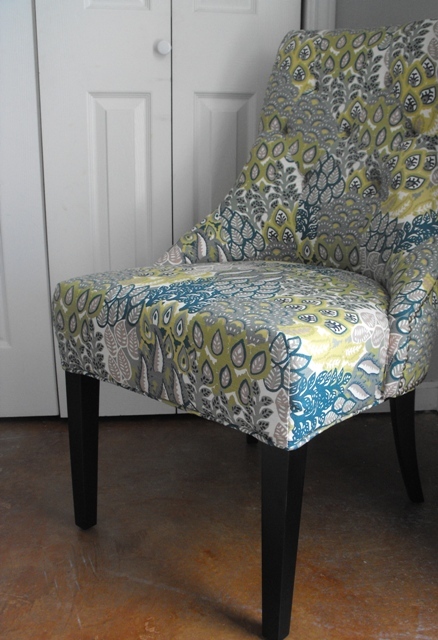 I LOVE the chair...what a great inspiration piece! The paint color is great, too. Can't wait to see it all come together! That chair is gorgeous! Great job; and thanks for sharing! 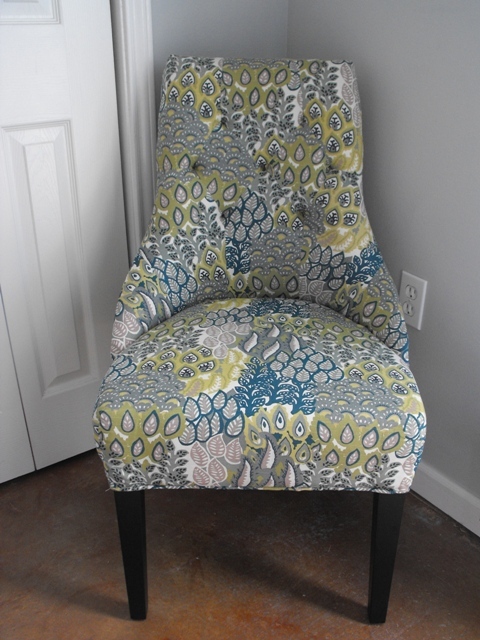 Fantastic chair! Love the wall color too!! Didn't you just repaint and redecorate Maddy's room? You have much more energy than I do! OOOOOO I can't wait. I love those colors together. John and I are planning the remodel of our bedroom and bath and those are the colors I'm leaning towards. I'm so excited to see this big reveal!!! Thanks for sharing these important information..